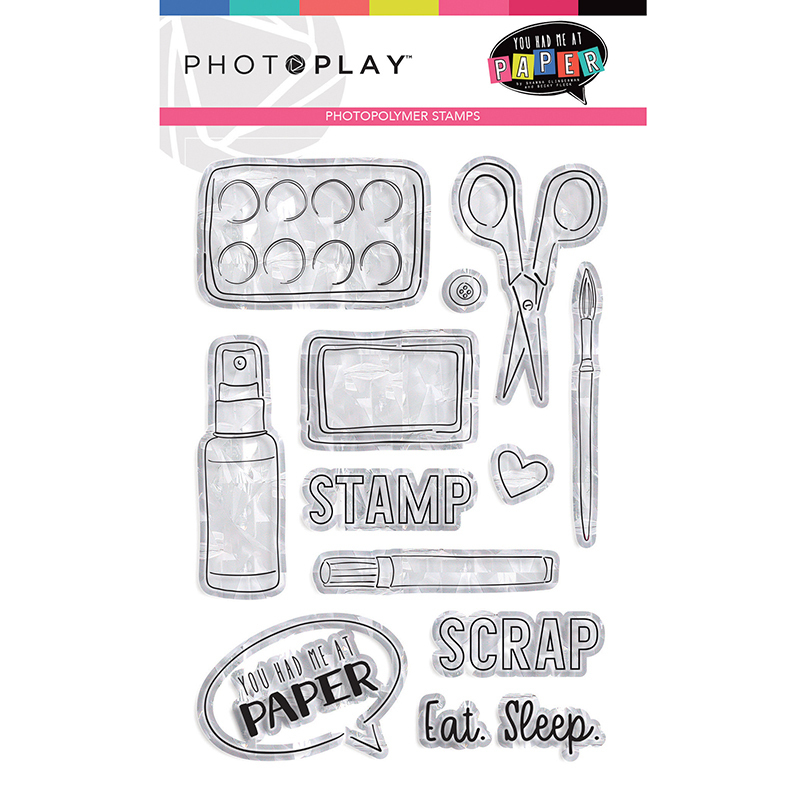 Eat, sleep, scrap and stamp! 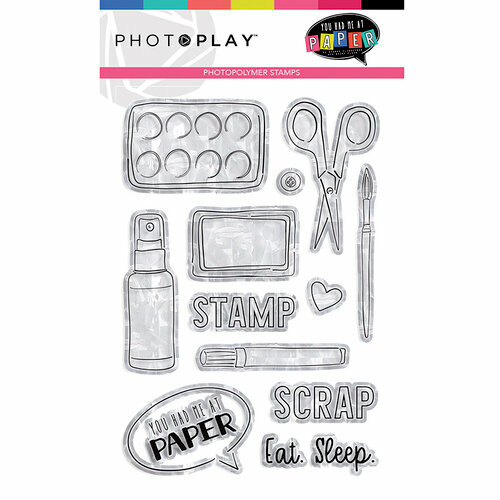 You'll have so much fun every day with these Photopolymer Stamps from the You Had Me At Paper Collection by Photo Play Paper. There are 13 stamps included that are designed by Shanna Clingerman and Becky Fleck. The pieces are in the shapes of scissors, a paint brush and palette, a button and more. 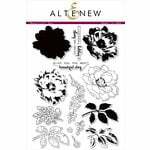 Use the stamps with an acrylic block, inks of your choice and the coordinating dies (all sold separately).